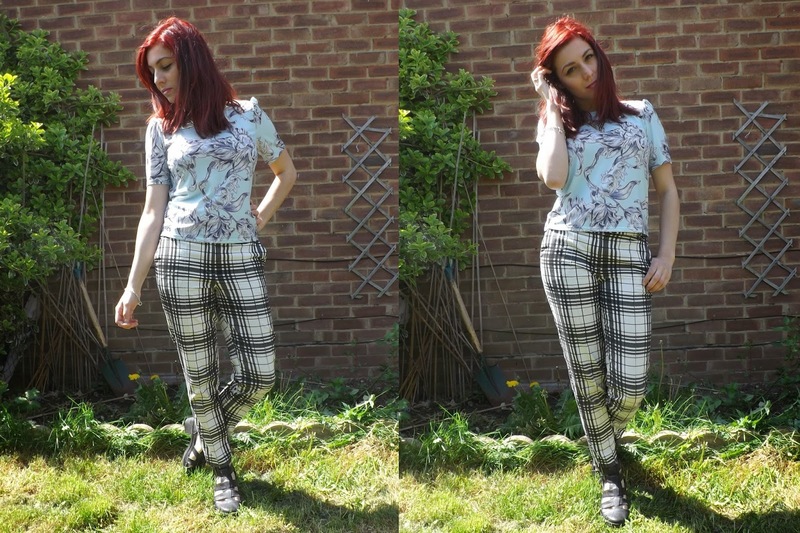 I wasn't too sure about this outfit, but when I bought this pretty blue baroque print top, I knew I wanted to pair it with my Topshop check cigarette trousers! I think the clash works quite well! It's not too over the top, and the colours sit together nicely. 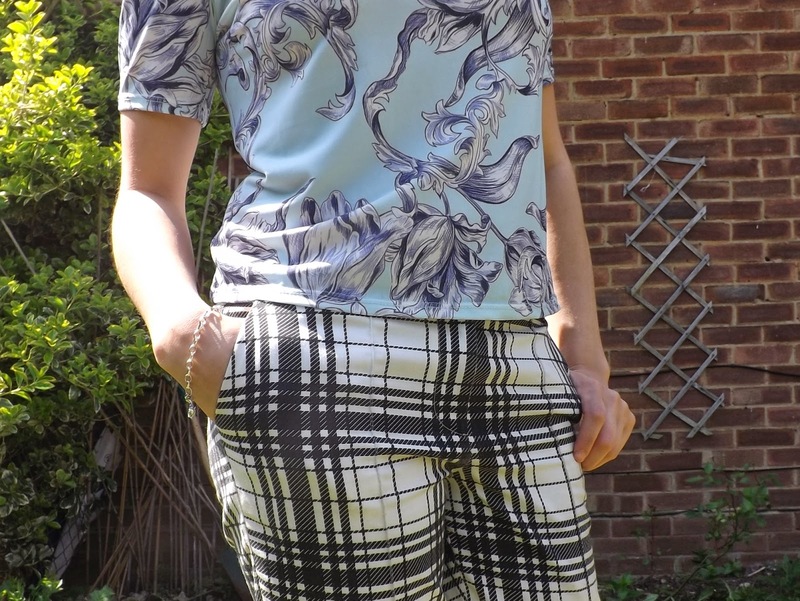 I love the feel of this top, its a lovely stretchy materical and it's very different to most of my other tops! I needed more smart/casual tops in my life and this fits the bill perfectly. 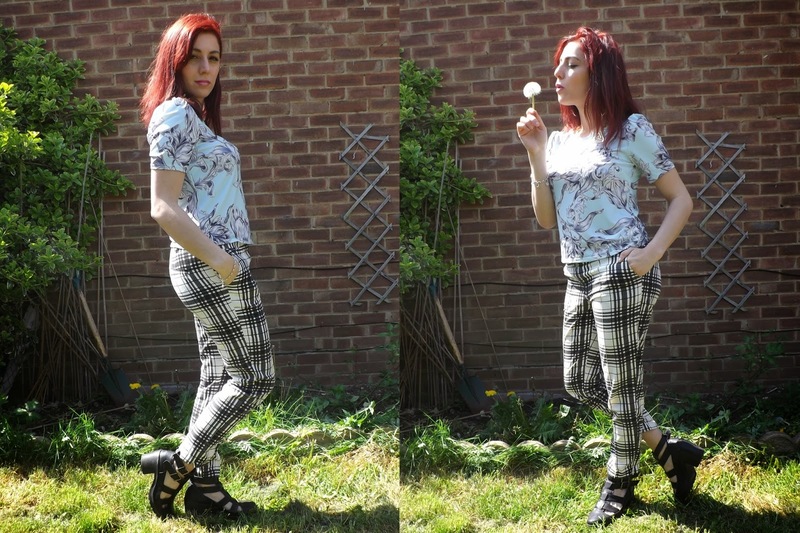 Miss Selfridge have a couple more tops in the same shape and material but with different prints. And at £25 it's a guilt-free purchase! I'm posting this really quickly before heading off to work for a couple of hours. A bit different ay? But later, I get to relax with John, and enjoy a parent and sibling-free house for an evening! Hope you're all having a lovely sunny Sunday!